Setley Cup & Seahorse Trophy. Not since Ben Ainslie won his fifth Olympic gold medal at Weymouth have I seen so many people interested in yacht racing. In the summer of 2012, crowds gathered in unprecedented numbers as Britain’s golden boy of sailing pulled victory from the jaws of defeat. 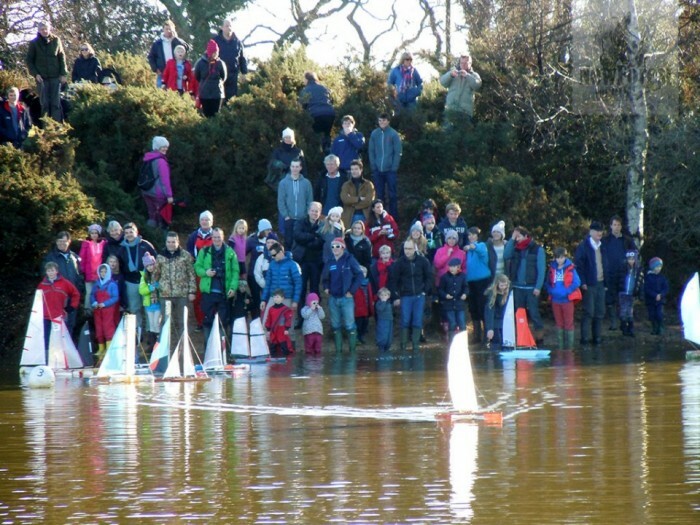 Yesterday’s Setley Cup & Seahorse Trophy yacht race on Setley Pond near Lymington pulled in as many crowds per square foot for the annual Boxing Day Setley Pond Boat Race. 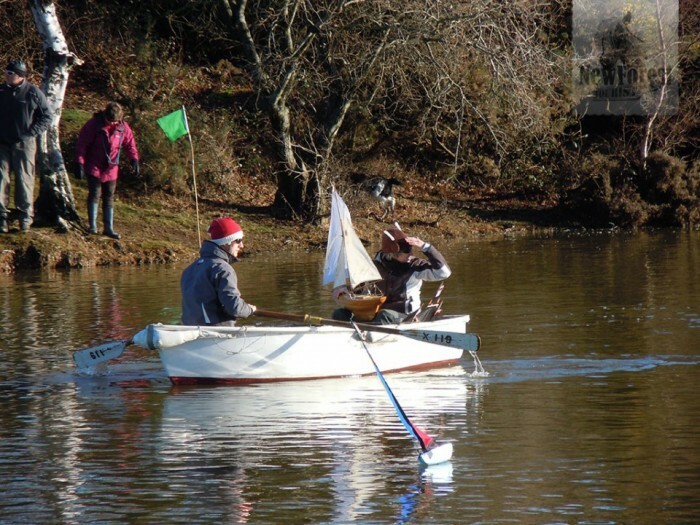 Organised by (amongst others) more olympic heroes of the area, Ado and Stuart Jardine, hundreds of families descended on the chilly but sunny venue with a massive fleet of home-made boats in hand. The yachts were allowed to be made from anything, but could not be created from a kit of any kind. Over the years the quality of the boats has improved significantly – and the sense of competition has heated up accordingly. Nevertheless, the boats’ construction materials still vary from bits of doweling stuck into plastic bottles, to carbon fibre and GRP. Mine always fits into the former category. This has become the unlikeliest social event of the sailing calendar. 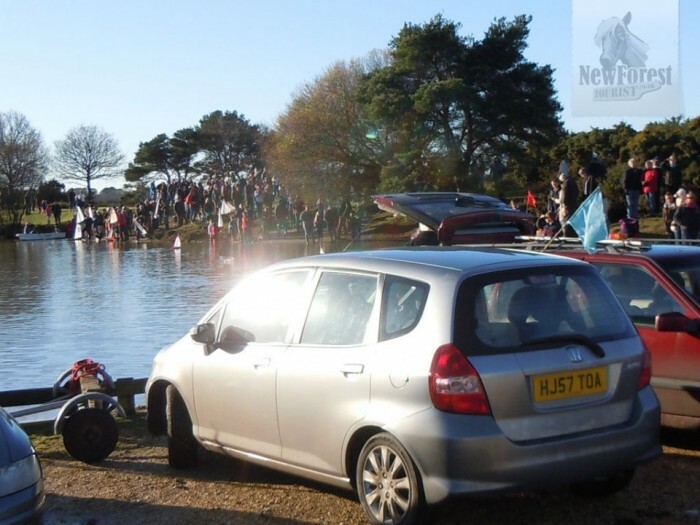 There seem to be more people every year, most of them bumping into friends or family for the pre-arranged open-air Christmas get-together. 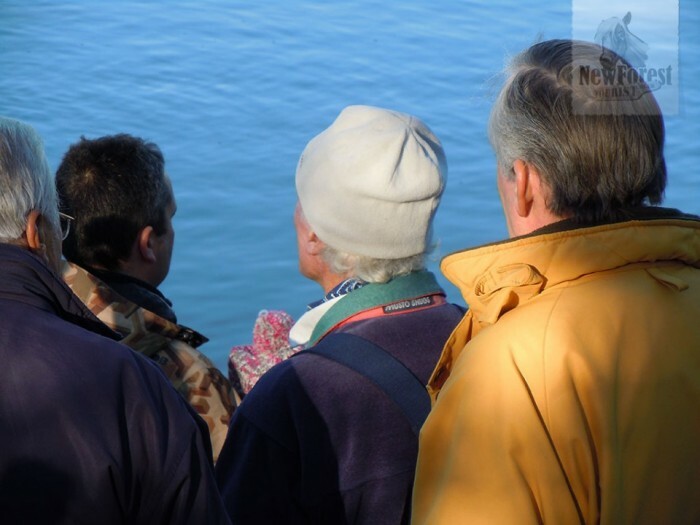 Some come to sail, some to watch and some to socialise – but whatever everyone’s motives, the atmosphere is one of general good humour and Christmas cheer. 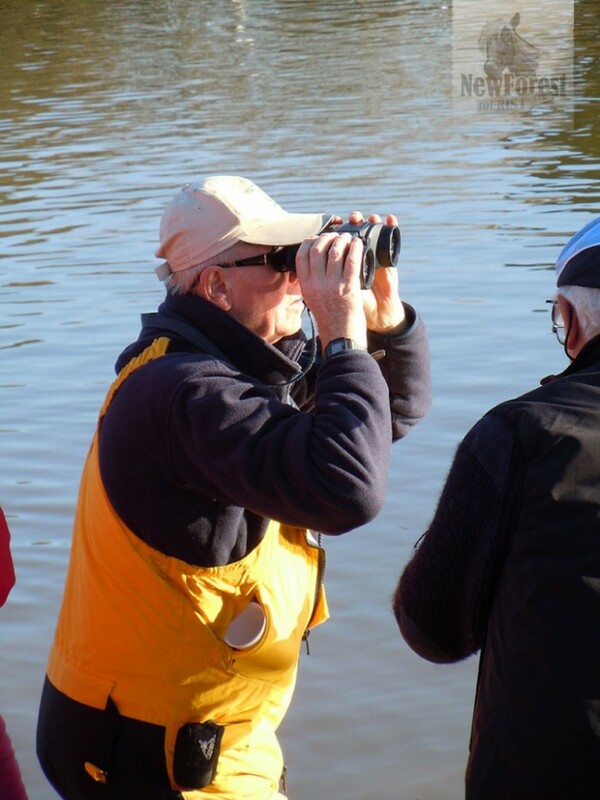 It’s an excellent event – and this year’s brief window of beautiful, clear, sunny weather came at just the right time.